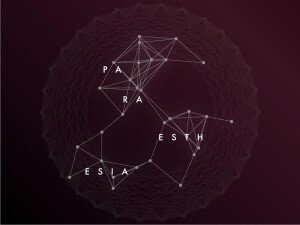 This is the final design for an event entitled “Paraesthesia” which we organized with the Taucher Sound team. Our crew included: Leonard de Leonard, Johannes Scherzer, DE KJ, Simon Houghton, Gianpaolo Camplese, Grace Nicholas, and Richard Schulz. 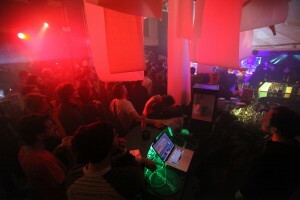 We presented a live performance of experimental music and spoken word mixed for a 23 speaker set up. The briefing that I put together for Dorothee Dinne, our designer, suggested a white design on a black back ground. The core idea was to use the speaker grid diagram as the basis for the design. I also asked that we pursue the path of ultimate visual reduction until we arrived at maximum simplicity. The mood board included pictures of the speaker grid and a few of John Cage’s musical scores, which btw. are very beautiful, minimal pieces of art.